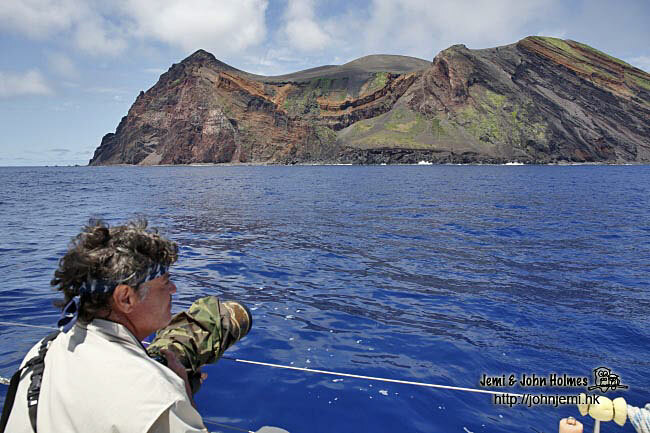 There were a wide variety of seabird enthusiasts on the trip including Canadian Dr. Kirk Zufelt, whose website “Pelagic Odyssey” makes his interests plain. 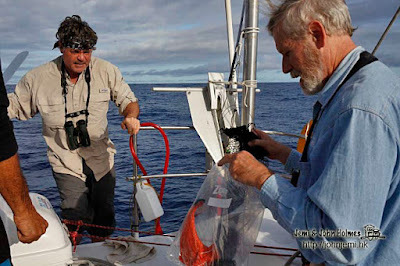 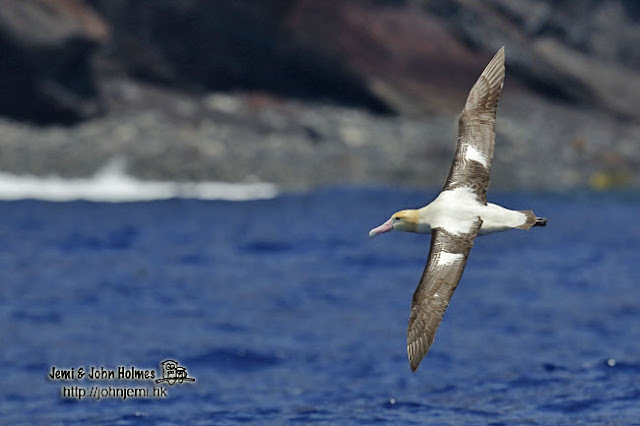 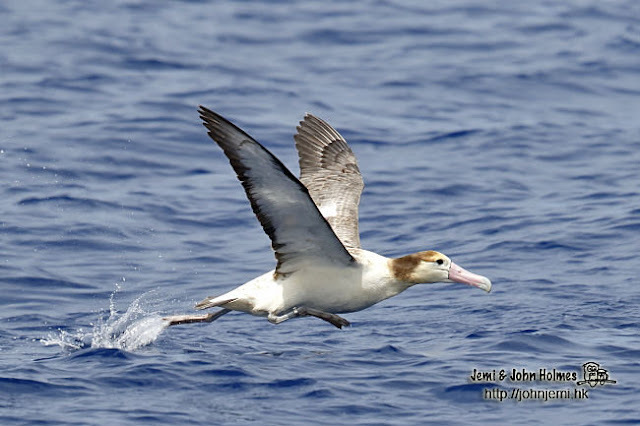 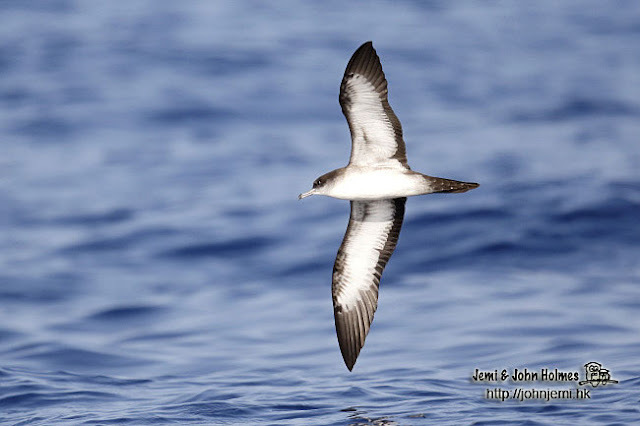 Later in 2013 Kirk contacted us to say that he was organising a trip to see the seabirds of the Japanese Izu, Ogasawara and Iwo island chains. 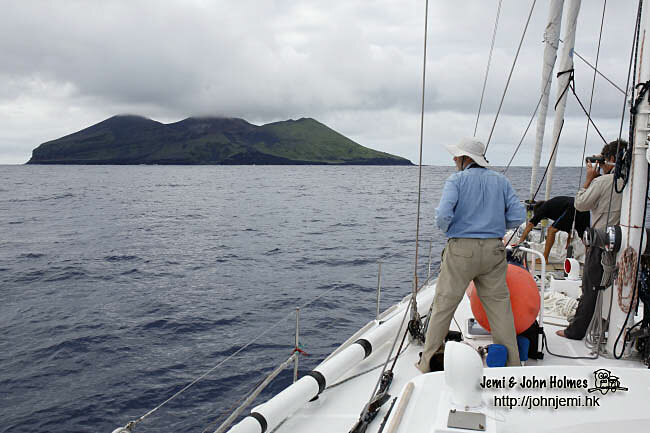 Sparsely populated and volcanically active, these islands form a 1,200 km chain south of Tokyo. 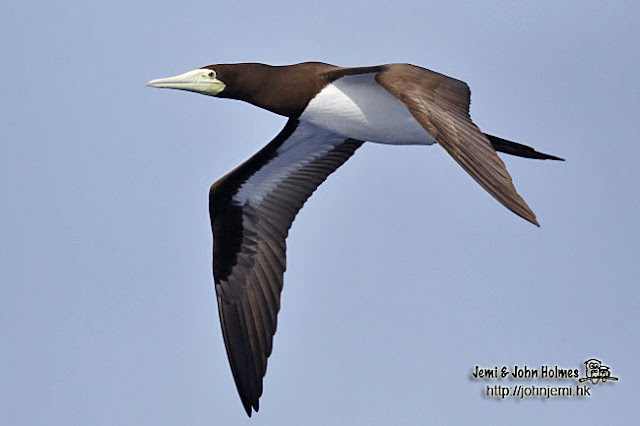 A lot of the anticipated seabirds were of regional interest to us, with Streaked and Short-tailed Shearwaters, for example, on the Hong Kong list. 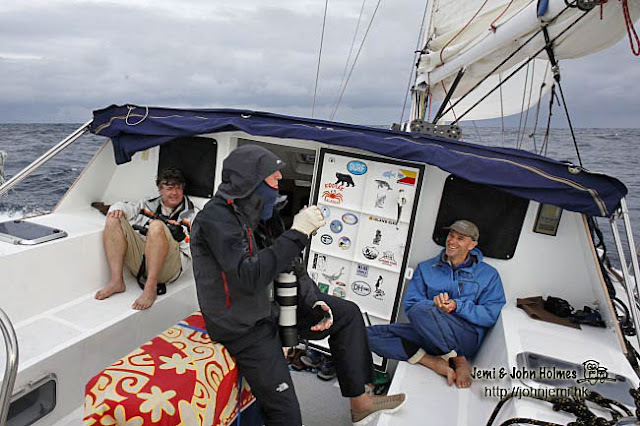 Some of the other possibilities included potential vagrants to Hong Kong, so we jumped at the chance. With only six places available, the remaining participants were Mike Danzenbaker (California), Dr Colin Rogers (Adelaide) and Glenn McKinlay (Palau). 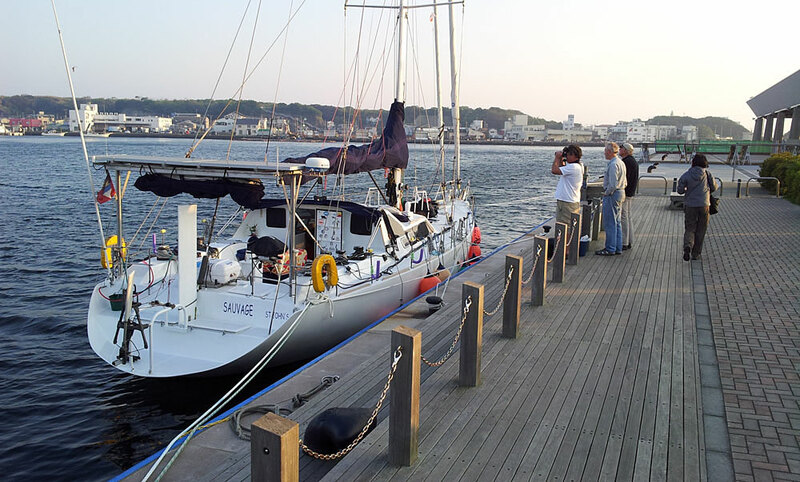 On 27th April we arrived at the dockside of Misaki Port and boarded the Sauvage in the early evening. 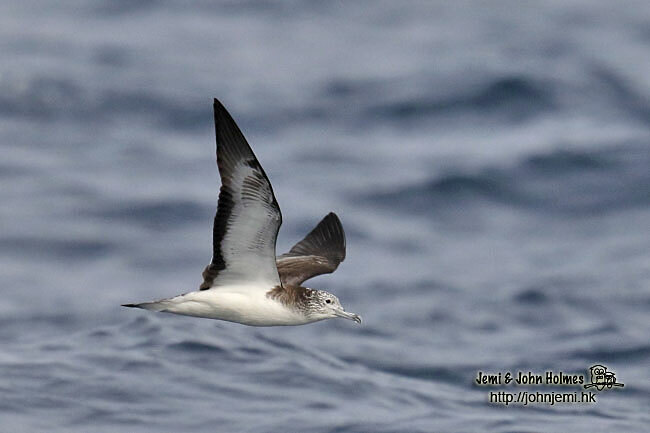 Underway in the morning, we could see that Streaked Shearwaters were abundant in the waters just south of the Japanese mainland, as expected. 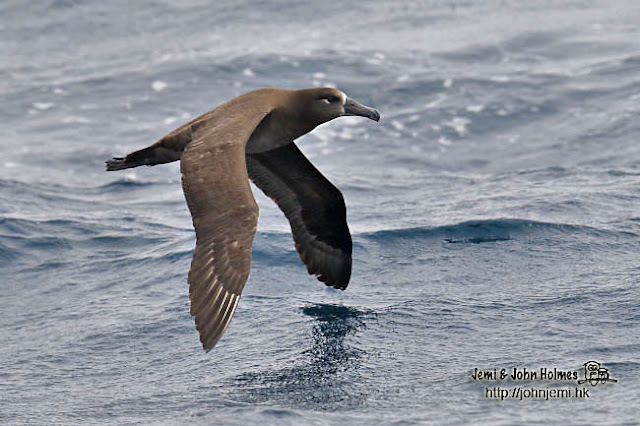 This species “readily follows fishing boats” according to the bird books, and we saw some good examples of this early in the voyage. 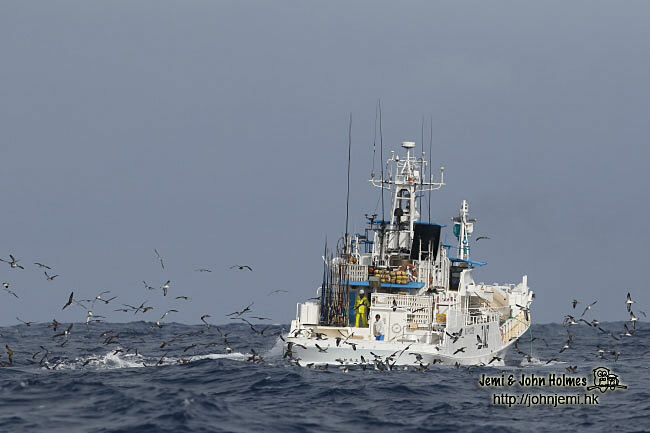 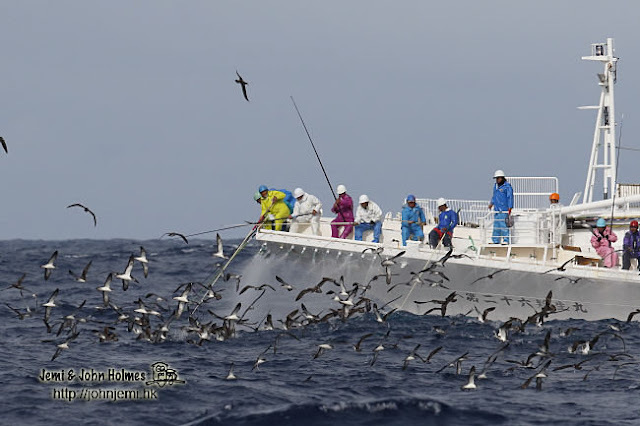 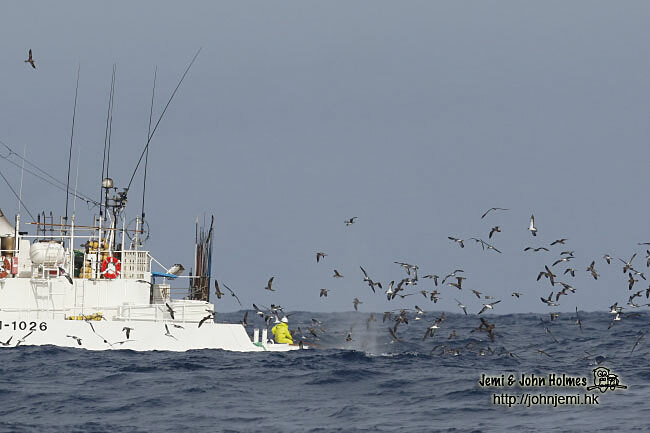 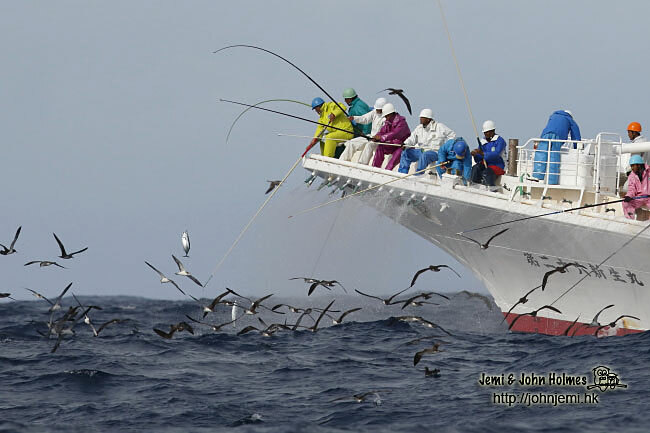 The pole-fishing tuna boats attract tuna to the surface with live sardines and the shearwaters obviously find this irresistible too. but we could never compete with the volume of fish product scattered by commercial fishermen. Fortunately, for much of our journey, there were no other boats in sight. 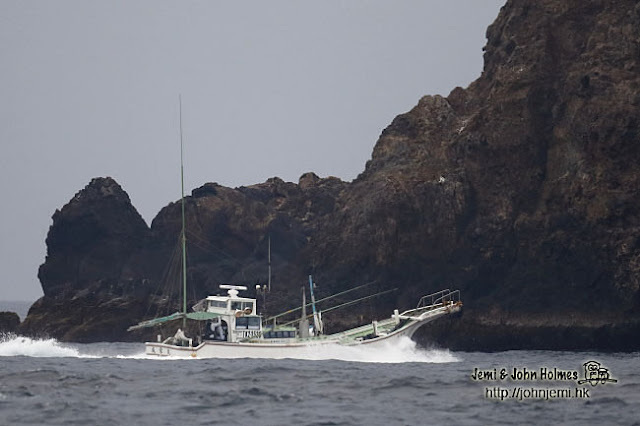 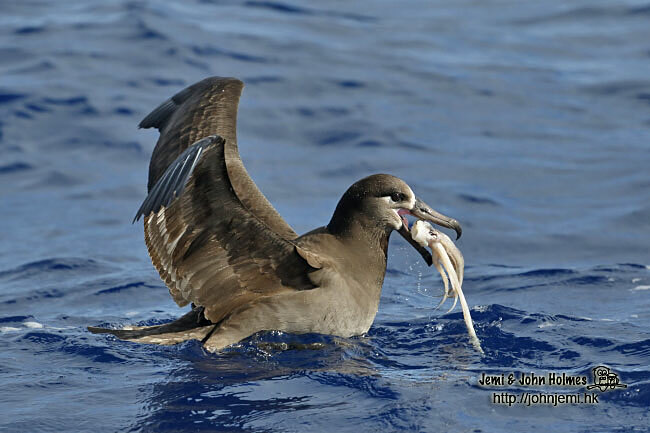 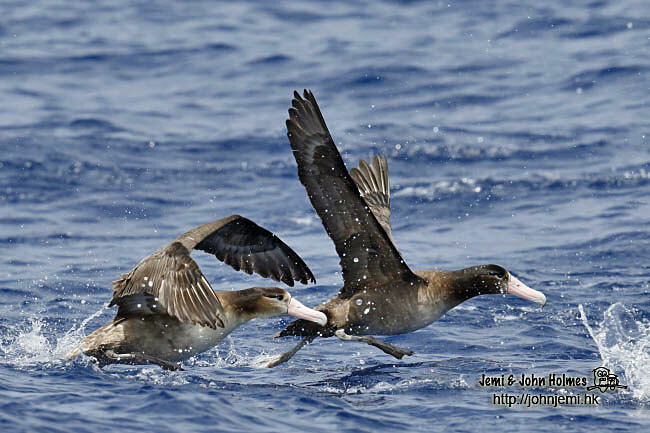 By the late afternoon of the first day Jemi and I got our two “Northwest Pacific Albatross Ticks” at the same time with two Short-tailed and three Black-footed in a group on the water. 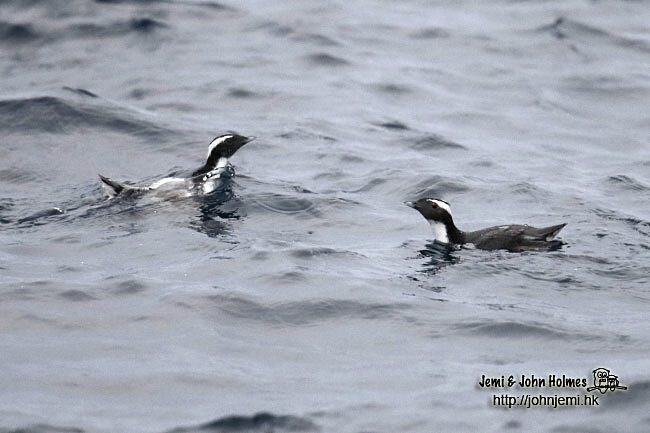 A few Japanese Murrelets had been tallied by the time we passed Ojima at the end of the day. 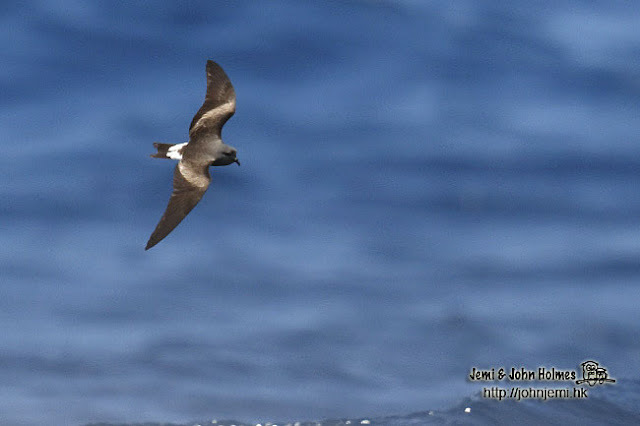 I should mention here that "jima" and "shima" in place names means "island"
Near Miyakejima we had more murrelets near Sanbondake rocks, a known breeding site. 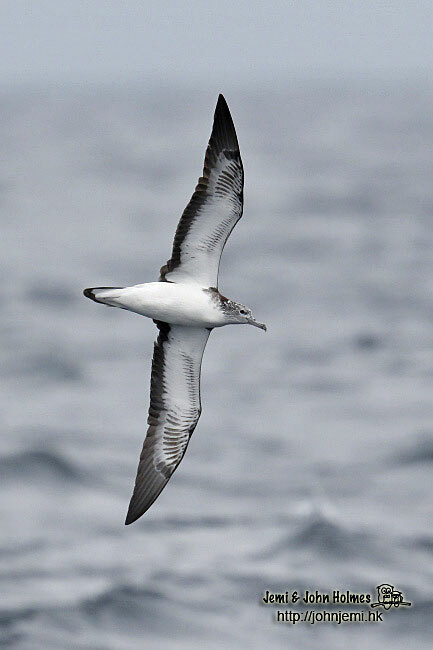 There were not many murrelets around, though and the Peregrines we saw (at least three) must have found the murrelets easy to catch. The remains of the Weather Station, abandoned after a volcanic eruption in 1965. As we circled the island the weather cleared, revealing the colour of the rocks on the island, and rafts of albatrosses on the sea surface. 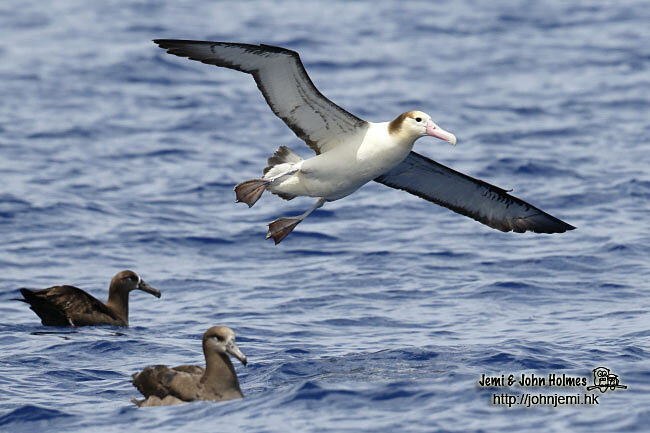 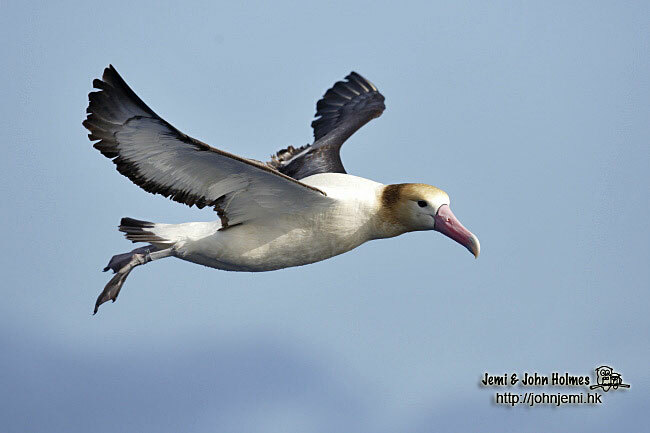 The present population of Short-tailed Albatross is estimated at about 2,000. 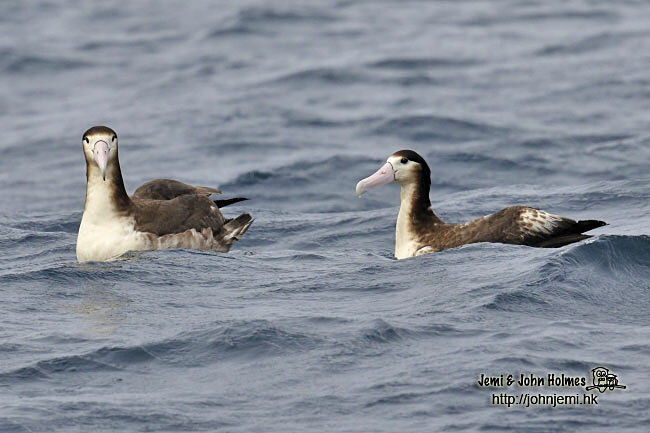 Several hundred Black-footed Albatrosses also breed on Torishima. 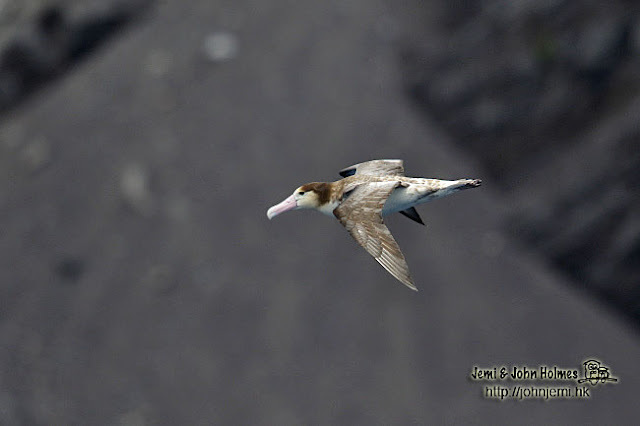 We also saw a nesting colony on one of the scree slopes of Torishima, a site called Tsubamezaki. Over two hundred unfledged young in were in view, some practising their wing-flapping on tussocks of grass. 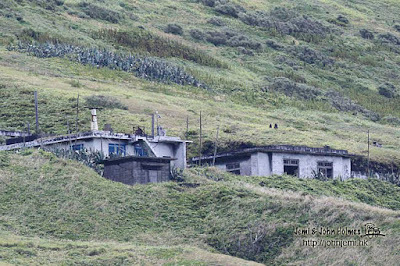 Japanese Ornithologists monitor this colony, and efforts have been made to stabilise the slope that the birds use. 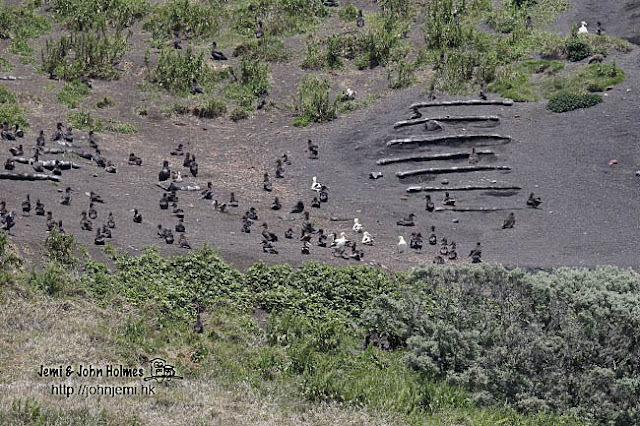 The ornithologists are also attempting to decoy the albatrosses to use a less steep, better vegetated area of the island. 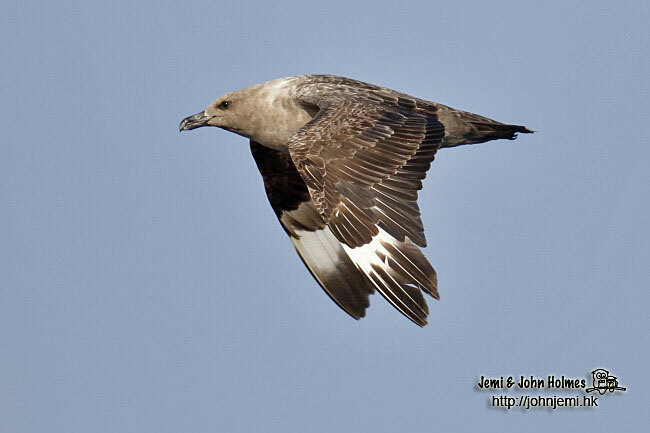 and this fly-by South Polar Skua. 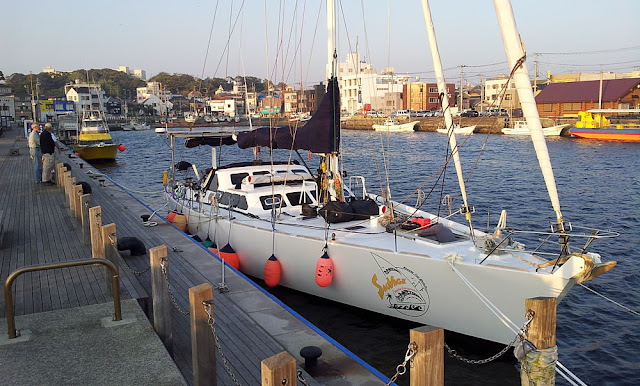 From Torishima it was two more days sailing to the Ogasawara (Bonin) Islands.